Great news! 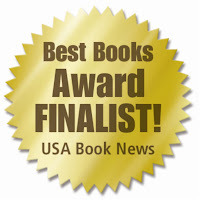 A LAND BEYOND RAVENS is a finalist in The National Best Books 2009 Awards in the Fiction & Literature: Historical Fiction category! Woo-hoo! I love this event! Literary Sojourn is a fabulous annual gathering held each fall in Steamboat Springs, Colorado, that brings together a handful of critically acclaimed authors to speak to about 500 attendees. This was the tenth I’ve attended. This year we had John Darnton, Jayne Anne Phillips, Linda Hogan, Amitav Ghosh and Richard Bausch speaking, plus Erin McKean as Master of Ceremonies. The authors speak on topics that can range anywhere from the writing process, to career paths, to the background of one or more of their books, to where an idea or observance created the spark that turned into a story. Amitav Ghosh, from Calcutta, India, spoke of how so many books tell of the arrival of immigrants in new countries. He writes instead of the difficulty of leaving the old country, especially one like India that has roots in an incredibly old civilization and the land is even part of the religion. This got me to thinking about some of the things I’ve written on Celtic culture that also reveres the land. As people from Asia’s many cultures have been far flung across the world, so have Celtic people been spread in a diaspora. My own Welsh and Scottish ancestors were part of that vast migration. Jayne Anne Phillips spoke of kismet. What an interesting surprise when she revealed that while finalizing her book, “Lark and Termite,” without foreknowledge, the name of one of the characters turned out to be nearly identical to that of a survivor of a historical incident on which the book is based. I had a similar spine-tickling experience which I’ve blogged about here before. When I needed to name a character in A Land Beyond Ravens who would eventually become one of King Arthur’s warriors, I searched through many long compilations of names associated with Arthur’s armies. The character was the son of a long dead man called Taran. In the form of Welsh patronymics, the new character would be ‘so-and-so’ ap (son of) Taran. The search paid off unexpectedly: I found a name, Glinyeu ap Taran. Yes, kismet! Linda Hogan, a Chickasaw poet and novelist, also hit a chord that resonated with me. She spoke of the language crows and ravens have and how they communicate with not only each other, but us as well. My husband and I experience that every day. We have somewhere between fifty to a hundred crows that live in our neighborhood. They interact with us, talking in their varied and intricate language. They leave no doubt as to what they mean, and it is not just that they want food. They enjoy companionship as well. They are intelligent, playful birds and have adopted us into their family and territory. The best highlight of my day was the gift of sitting for a few minutes with Linda and talking with her about these wonderful creatures while she signed my copy of her book, Mean Spirit. In all, a very enjoyable, satisfying day. If all goes well, I’ll be back for number eleven! See http://www.literarysojourn.org/ for additional information. I will be on a virtual book tour for my new book A Land Beyond Ravens, starting 5 October. Here are the stops I'll be making. Please stop by and feel free to leave some comments!